To examine, for the first time, whether cyclosporine intake has an early isolated effect on the optic nerve. This observational case series consisted of 192 eyes of 98 patients treated with cyclosporine. Patient age and duration and dosage of cyclosporine were recorded, and visual acuity, optic nerve function, visual fields, and visual evoked potential (VEP) were tested. Fundus examination was also performed. Patients with glaucoma, vascular retinopathies, and deep amblyopia were excluded. Mean patient age was 46 years, average duration of treatment was 6 years, and median dosage of cyclosporine was 200 mg daily. VEP was tested in 73 patients (142 eyes) and yielded a delayed P100 wave in 9 (12.32%) (14 eyes). Among these 9 patients, abnormal findings were also noted on the Ishihara colour test in 42.86% of the eyes, and on the visual field test in 64.3% of the eyes. Abnormal VEP showed a significant correlation (p < 0.05) with older age (> 46 years) and a non-significant correlation with longer duration of treatment. Higher abnormal VEP potential was not correlated with higher cyclosporine dose, and there was no correlation between abnormal VEP and blood level of cyclosporine. Optic neuropathy was significantly associated with older age in cyclosporine-treated patients. A correlation between optic neuropathy with longer duration of cyclosporine treatment was noted but was not statistically significant. We suggest that tests of optic nerve function, including VEP, be a part of the follow-up of patients receiving cyclosporine. 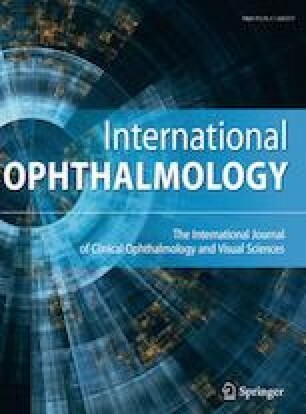 We would like to dedicate this paper to Dr. Lea Averbuch-Heller (1958–2000) who mentored us regarding the possible relationship between systemic cyclosporine treatment and optic neuropathy early in our careers.